Elspeth Gordie and the other Misfits of Obernewtyn have vanquished the past evil that once dwelt within Obernewtyn's walls and have installed the rightful heir, Rushton Seraphim, as the Master of Obernewtyn and leader of Misfits alike. Rushton, as their leader, has spread the rumour that Obernewtyn was destroyed by a deadly firestorm, thus ensuring that no one travels into the mountains, allowing Elspeth and the others to lead relatively normal and peaceful lives in their thriving new sanctuary – further developing their Talents, rescuing other Misfits and researching Beforetime ways. Elspeth, having incredibly strong mental powers/Talent, has become Guildmistress of the Farseekers, one of six Misfit guilds. When she learns that one of the Teknoguild's Beforetime machines is picking up on an incredible Talent in the west of the Land, she proposes a joint expedition with the Teknoguild to travel to the West Coast, in order to uncover a Beforetime book cache and track down the rogue Talent. Domick, a Coercer, travels with them to the major city Sutrium, where he will turn spy for Obernewtyn. During The Farseekers, Elspeth gains new friends and loses old ones, thwarts the Council and Herder Priests with the help of a rebel organisation and learns of her life quest to destroy the Beforetime machines that created the Great White; with the help of Maruman the one-eyed cat and Gahltha the mighty black horse. "Life has always been a matter of putting one's feet down carefully" (Isobelle Carmody 1990, The Farseekers). 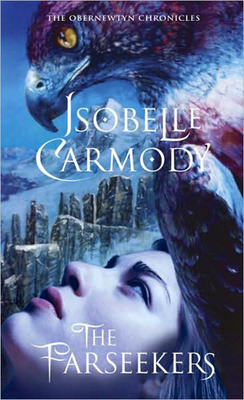 The Farseekers is book two in a seven-book-long series by Australian author Isobelle Carmody. 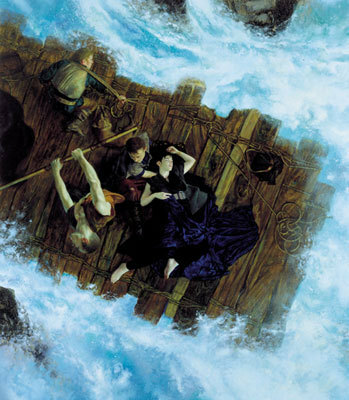 The Farseekers was originally published in 1990 by Viking Books and Penguin Books respectively. Isobelle Carmody began writing the Obernewtyn series when she was just fourteen-years-old and the books have become her most celebrated to date. Why? Because you want a new book to read. Where: In the comfort of your own home.